Very flavorful with abundant amounts of thick fragrant smoke! This was a fantastic cigar! 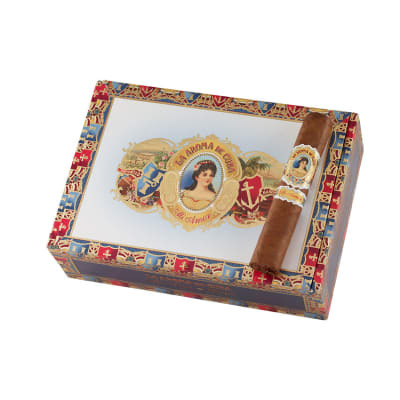 It was part of a 5-pack La Aroma De Cuba sampler and it was by far the best of the bunch. 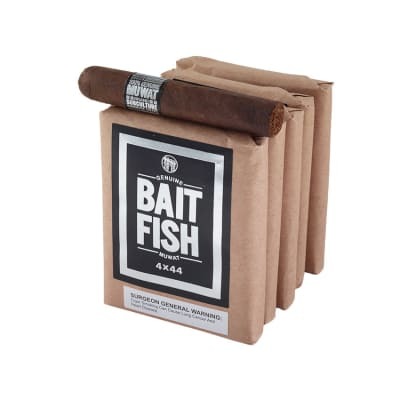 It was very flavorful, not a single harsh note from start to finish and it billowed thick, rich smelling smoke from start to finish. 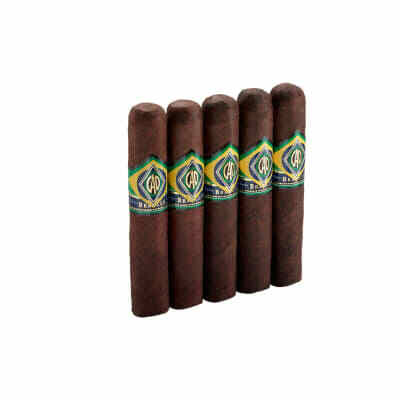 I ordered a 5-pack through the Cigar Monster special, but am holding off from indulging in these flavorful beauties until they ve had time to get them acclimated in my humidor for several weeks. While on a trip to Wisconsin for my grandson s graduation I found a shop in Hudson Wisc. where I found this gem. I have seen these in the mag s for some time and I finally bought one. This is in the top one or two cigars I have ever smoked, and believe me I have tried many.When I lit up the flavor of nuts and earth was there. A complete taste that was flawless. I knew I had found a truly special blend. Just to look at this beauty was a treat in it self. They are on the pricey side but worth every cent. Treat yourself and try one. I thoroughly enjoyed this cigar!! I had been wanting to try a La Aroma for a while, and luckily, this was one of the samples in The Deal Closer, on of FS's assortments. 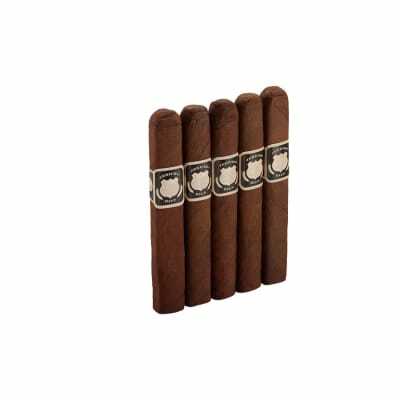 The cigar is box pressed and has no flaws, cosmetically or functionally, and it has a complex, rich taste. One of my favorite things about smoking a good cigar is the aftertaste that lingers after the smoke is done, and this one does not disappoint. I only tried the one, so hopefully the consistency and quality control are tight. Highly recommend.